Today I have dug up a bed of overcrowded Iris. 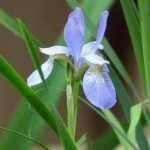 Can I transplant the rhizomes this fall? If so, how deep should I plant them?